People for the Ethical Treatment of Animals is accusing an Argentinean supplier of so-called “responsibly sourced” wool of gross mistreatment of its lambs and sheep. The animal-rights group has posted on its website video that shows livestock workers slitting lambs’ throats, skinning them alive, or otherwise abusing and mutilating the animals. The footage, according to PETA, was obtained from farms that are part of the Ovis 21 (sometimes styled Ovis XXI), a network of some 140 ranches that has been working with the Nature Conservancy to reverse 100 years of overgrazing on 15 million acres of Patagonian grasslands. Brands that have used wool from Ovis 21 include ethical trailblazers such as Patagonia and Stella McCartney, both of which have praised the program for its holistic management of the region’s long-term health. “We have often sought to be sustainable but this is the first time we have actually been able to improve an environment by placing business there,” said Jill Dumain, director of environmental strategy at Patagonia, in 2013. McCartney, upon being alerted to video by PETA, announced that she is no longer buying wool from Ovis 21. “We are deeply saddened and shocked by the cruelty seen on the footage, as animal welfare is at the heart of everything we do,” the British designer said in a statement. “This is a huge setback to help saving the grasslands in Patagonia. We are now even more determined to continue our fight for animal rights in fashion together and monitor even more closely all the suppliers involved in this industry. McCartney said her label is currently looking into vegan wool, in the same manner it has incorporated luxury-grade alternatives to leather and fur over the years. Patagonia, in a blog post on Wednesday, referred to the footage as “disturbing,” but pointed out that two of the practices in the video—castration and tail docking—are not only standard across the industry, but also essential to flock health. “What’s critical is that these procedures be done humanely, in a way governed by enforceable, uniform standards,” the company said. While Patagonia said that it collaborated closely with Ovis 21 on its grazing protocol, the firm admitted that it hadn’t performed any animal-welfare audits beyond verifying that no mulesing occurs. (Flystrike, the parasitic condition associated with the surgical procedure, isn’t a problem in the region, so mulesing is a non-issue.) As such, it was unaware of the issues raised by PETA. 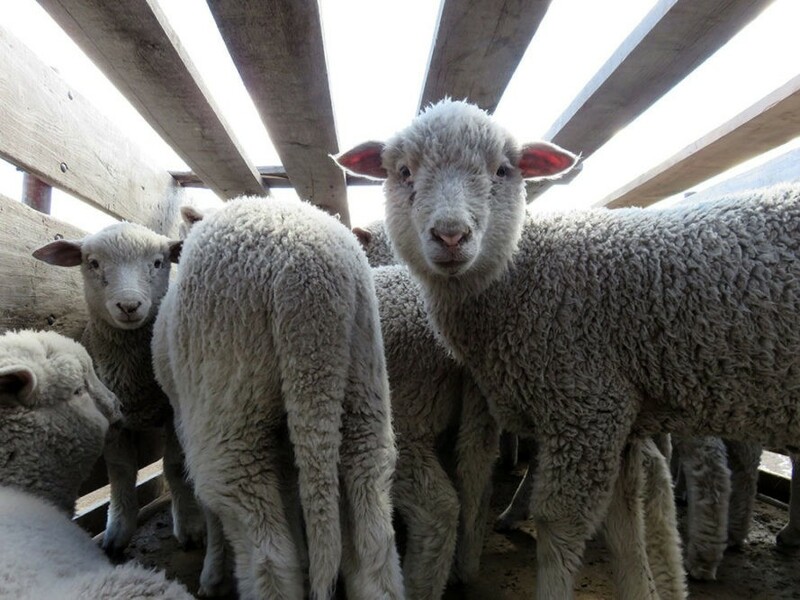 “There is no excuse for violent shearing methods and inhumane slaughter,” Patagonia said, noting its role in an effort by the Textile Exchange and others to develop a Responsible Wool Standard, much like the one currently available for down. PETA, Patagonia added, declined the Textile Exchange’s invitation to participate in the process. PETA, in the meantime, is filing a complaint with Argentinean authorities, saying that Ovis 21 breached federal animal-protection laws. Ecouterre has reached out to the Nature Conservancy for comment; we’ll update the story with any additional information. Patagonia says it has cut ties with Ovis 21 following PETA’s exposé. Ovis 21 says it has withdrawn certification from the facility seen in the video. The Nature Conservancy has provided a statement. All human should stop cruelty against innocent animals. We need to treat them with respect and love. In many ways we depend on them. Why not be grateful for all they provide. We should establish high penalties for any kind of animal abuse and cruelty...why everything needs to be made so painful? People for the Ethical Treatment of Animals is accusing an Argentinean supplier of so-called "responsibly sourced" wool of gross mistreatment of its lambs and sheep. The animal-rights group has posted on its website video that shows livestock workers slitting lambs' throats, skinning them alive, or otherwise abusing and mutilating the animals. The footage, according to PETA, was obtained from farms that are part of the Ovis 21 (sometimes styled Ovis XXI), a network of some 140 ranches that has been working with the Nature Conservancy to reverse 100 years of overgrazing on 15 million acres of Patagonian grasslands.